The State Farmer’s Market was established many years ago. Prior to and during World War II, most of the locals sold their produce all over the area with no central location to display and sell their goods. The farmers conducted an informal study and found that a larger, centralized location was needed for wholesalers, truckers and local farmers which would allow all their businesses to benefit. In 1955 the very first State Farmer’s Market was constructed on a 17-acre site in another part of Raleigh by a private developer. In 1958 he opened a “Farmers Section” which was leased to the NC Department of Agriculture for operation and maintenance. The NCDA then purchased the Farmer’s Market in 1961, and continues operating all State-owned Farmers Markets across North Carolina. By the mid 1970s, the old State Farmers Market had grown beyond its capacity and had become unable to accommodate the swelling number of sellers and buyers. In 1979 a United States Department of Agriculture study indicated the need for expansion and improved facilities. The site chosen for the new facility was the NCDA dairy farm near the Dorothea Dix Hospital. This site offered access to Interstate 40 and was convenient for most of the farmers to bring their products to markets. The State Farmer’s Market Restaurant was originally opened by Jackie Watkins at the original location in Raleigh, then moved to its current location in 1991. 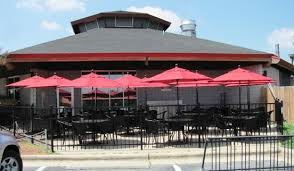 In 2002, Gypsy Gilliam and her son Tony (known for their other restaurant in Cary NC..Gypsy’s Shiny Diner) purchased the State Farmers Market Restaurant from the family of the late Jackie Watkins. 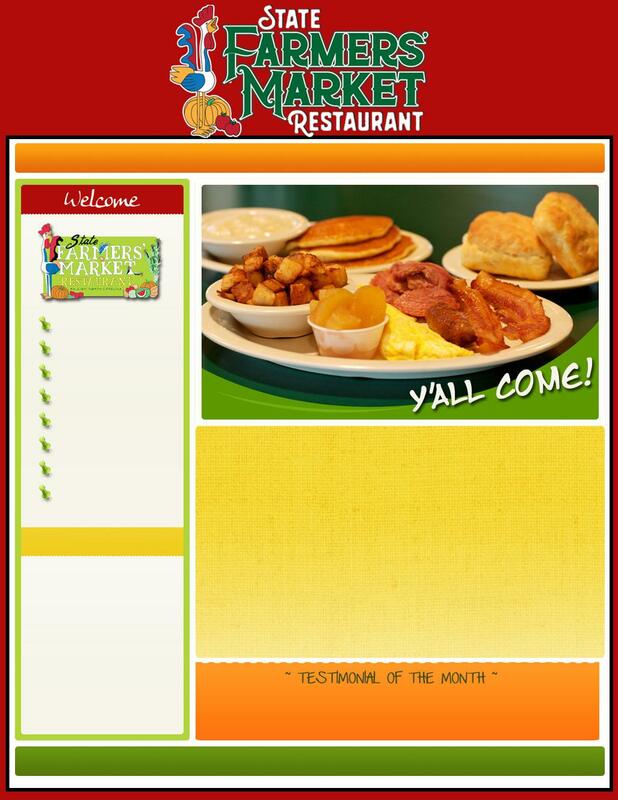 The “Market,” as it is affectionately called by the many hungry customers , offers FRESH, HOME-COOKED meals featuring “REAL BISCUITS”, fresh vegetables, pork, poultry and other “Got to be NC” based products. In 2003 The State Farmer’s Market Restaurant opened its doors to parties, meetings and charitable functions during its evening hours when the restaurant is normally closed. 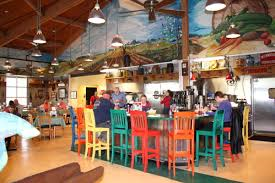 The State Farmer’s Market Restaurant is open daily till 3pm and closed on THANKSGIVING DAY and CHRISTMAS DAY. We'd love for you to visit us so Y'all COME!